While there is a natural progression from traditional wood-burning stoves to traditional looking electric stoves, who would have thought that the ACR NEO3F electric would offer a useful alternative to contemporary stove designs? It has the traditional extended front viewing area, side window panels for increased visibility and lighting as well as the ability to create 1 kW or 2 kW heat output. For those who simply enjoy the flickering flame and burning ember effect you can switch on the flame without the heat. 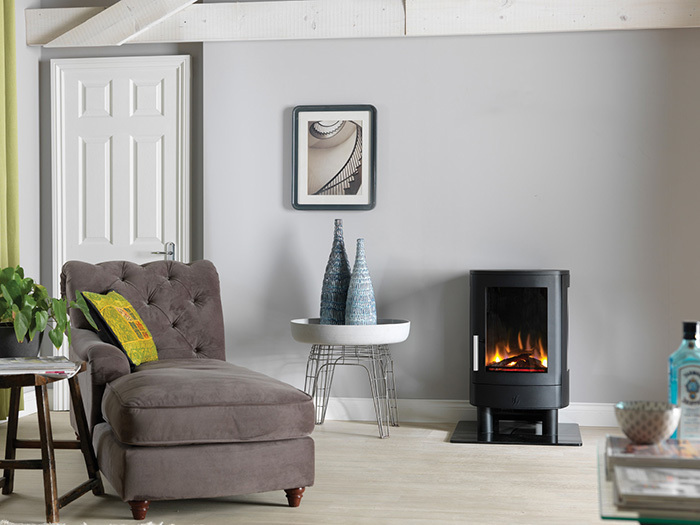 We know that electric stove technology has improved dramatically over recent years but a contemporary stove with the look and feel of a contemporary wood-burning stove, who would have thought that? For many people it is the 3-D holographic flame projection which makes the ACR NEO3F electric stand out from the rest. With settings of high, medium, low and glowing embers, without the heat, it is very easy to create a relaxing and peaceful ambience. 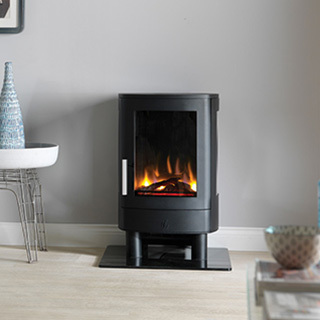 The crystal embers and ceramic logs are extremely realistic and it is not difficult to find yourself drifting off in front of a wood-burning stove. For those who like to sit back and enjoy the peace and relaxation, the seven day programmable intelligent remote control will prove very useful. You now have the ability to set your electric stove to come on just prior to your return, offering heat which will take off the chill and create a welcoming atmosphere. The ACR NEO3F electric stove also comes with a two-year warranty covering all stove castings.